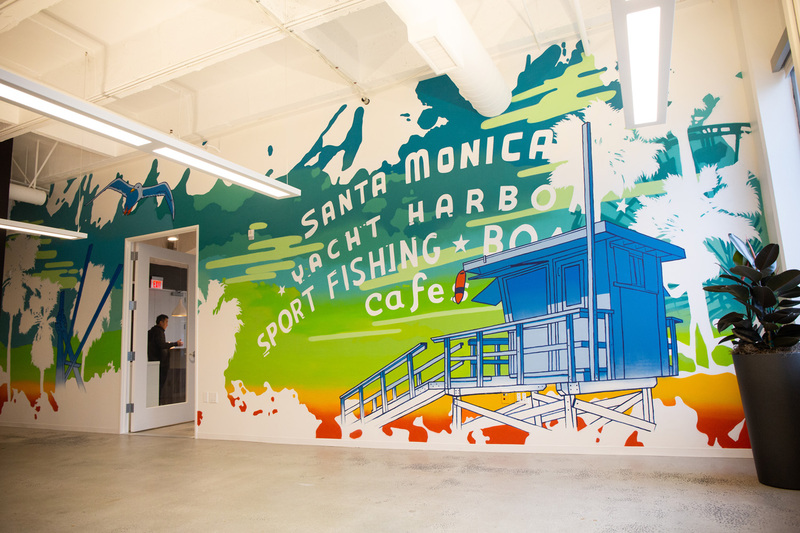 Our creative team painted a series of chalk style murals for the new Make Offices location. 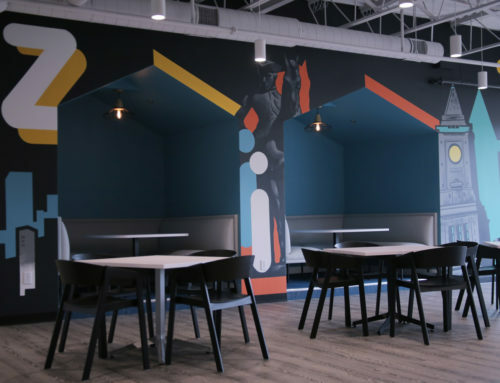 The Make team chose to partner with us because of our flexibility and our network of available artists across their markets of Chicago, DC and Philly. 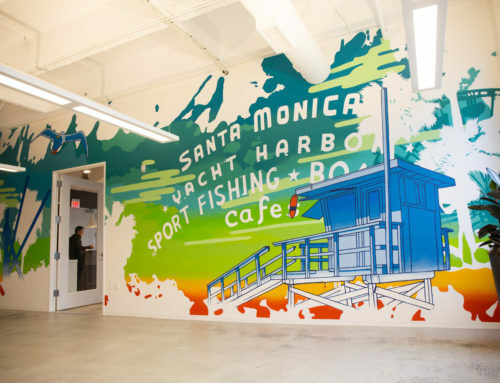 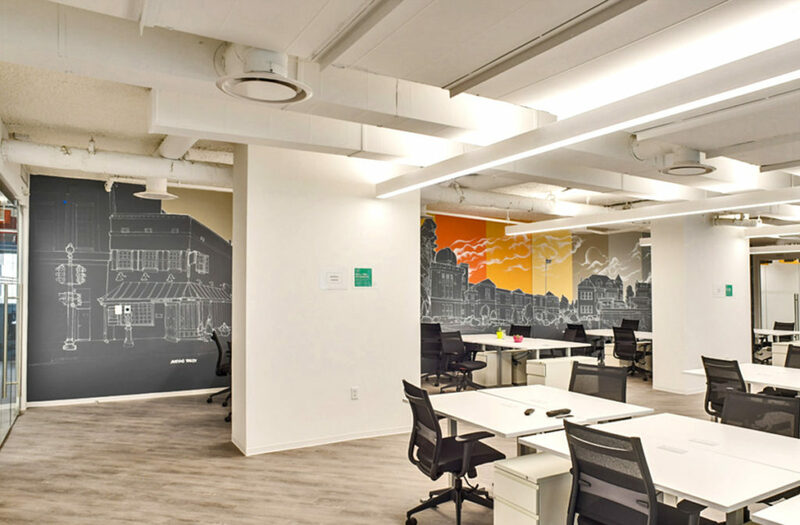 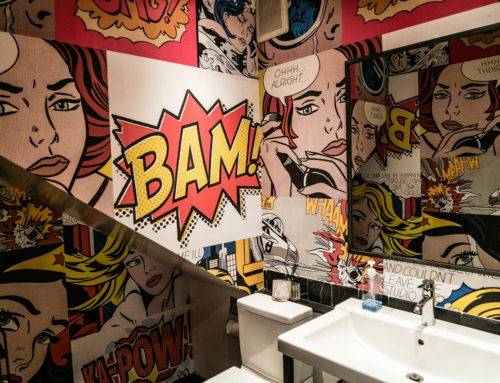 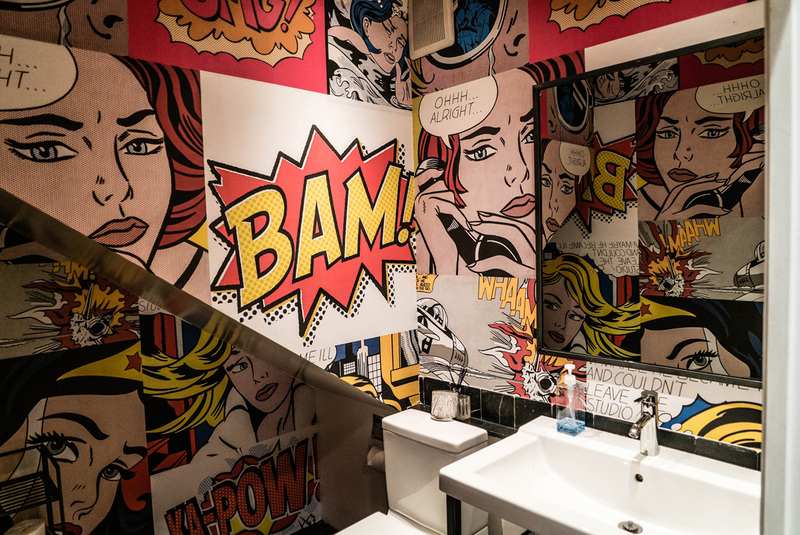 The murals we create are a perfect fit for a co-working space. 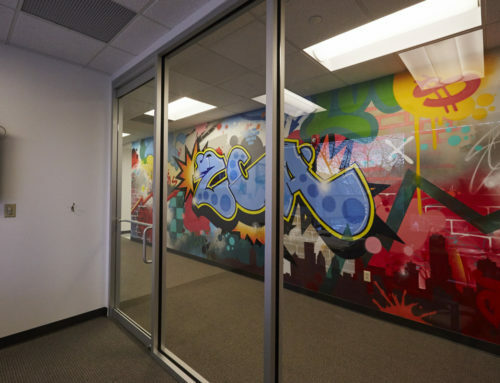 Consequently, they inspire the minds of the entrepreneur and business owner tenants. 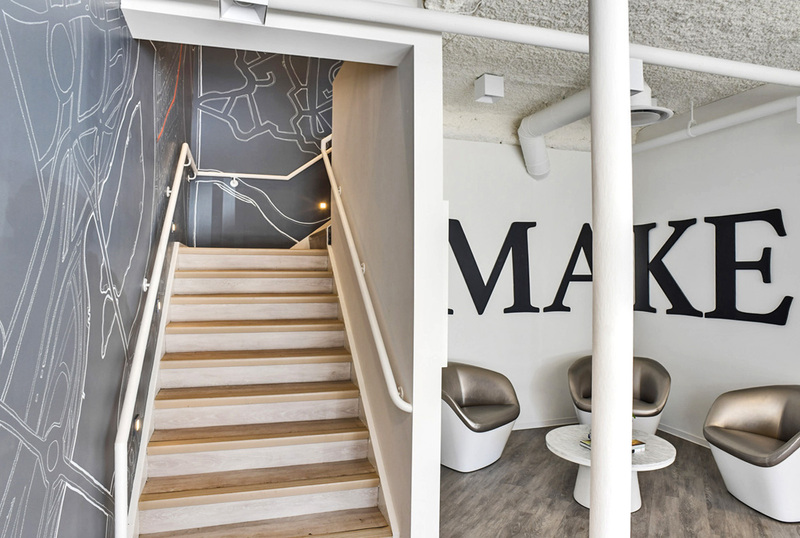 With plans for rapid growth spanning in those cities for the next year, we were able to introduce ourselves into the creative process from an early standpoint, working directly with Make Offices’ interior decorating and construction firms to ensure a smooth and cohesive concept and execution. 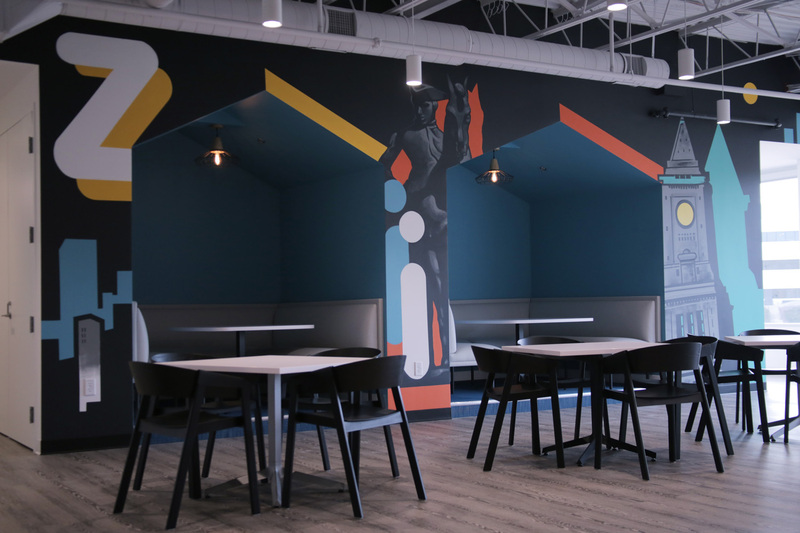 We pulled inspiration from DC’s history and the surrounding area of Glover Park. 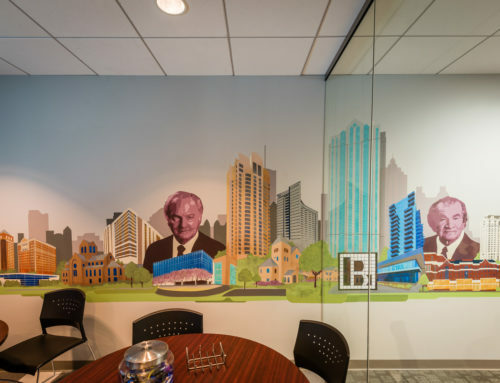 We created the artwork to be an extensions of the surrounding landscapes. 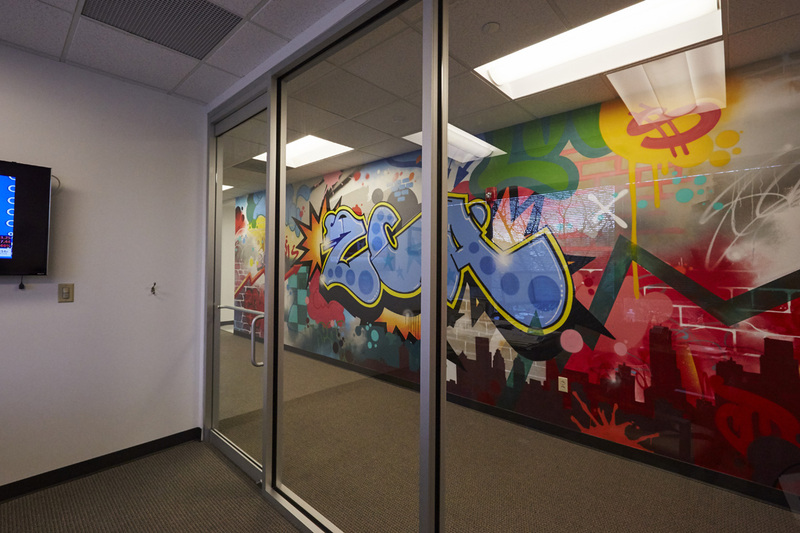 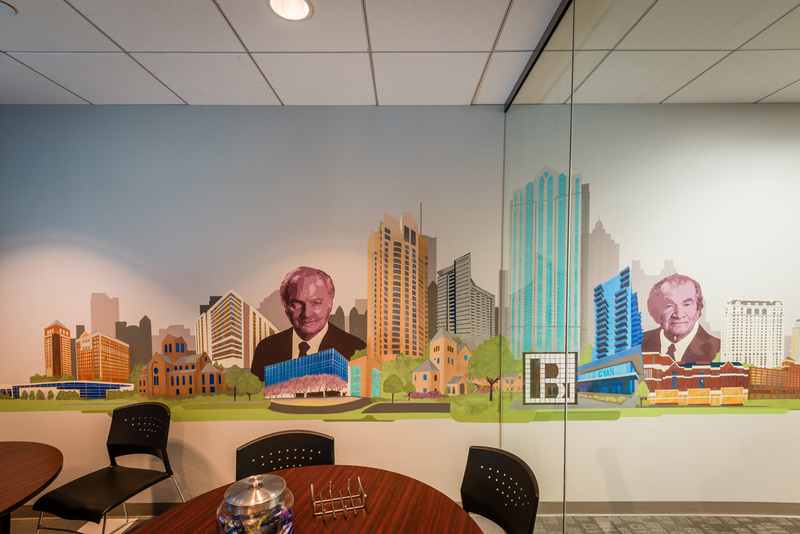 As a result, the artwork it brought elements from outside into the office. 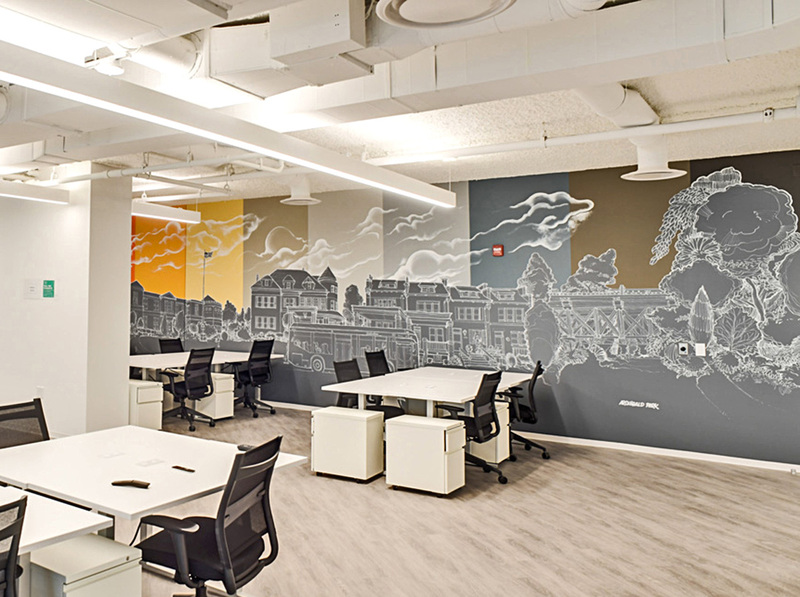 The murals guided visitors on a conceptual path throughout the space. 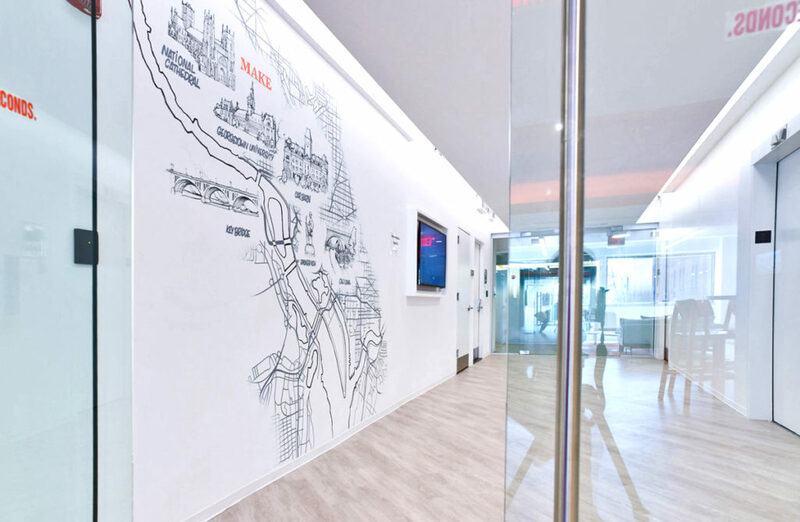 Some of the artwork included a replicated a map of the city. 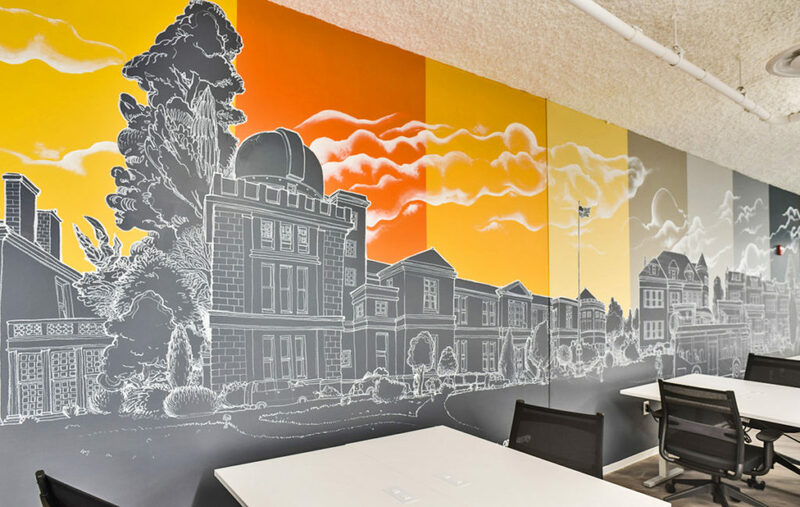 These maps highlighted significant landscapes in 3D drawings protruding off the map. 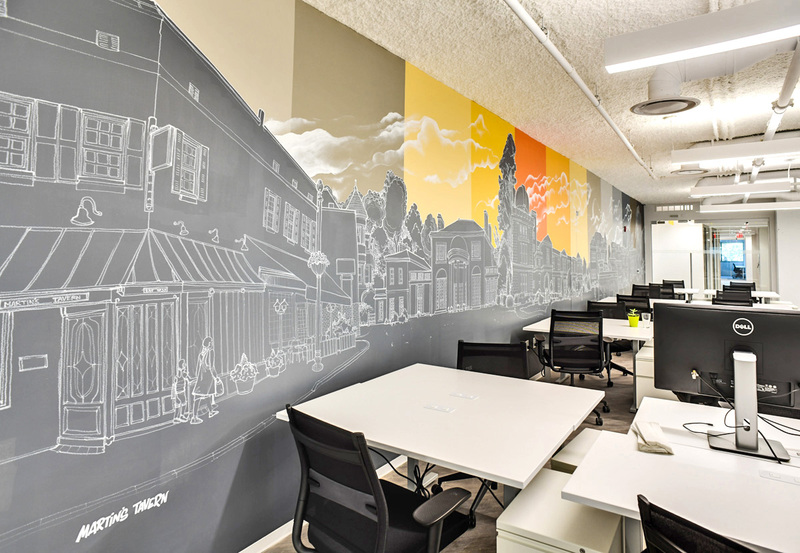 The oil bar medium we used created a chalk on chalkboard-like aesthetic.